Theoretical minimal RNA rings were designed to mimick life’s primordial RNAs by forming stem-loop hairpins and coding once for each of the 20 amino acids, a start and a stop codon. At most 25 22-nucleotide long RNA rings follow these criteria. These align well with a consensus tRNA sequence, predicting for each RNA ring an anticodon and an associated cognate amino acid. Hypotheses on cognate amino acid order of inclusion in the genetic code produce evolutionary ranks for theoretical RNA rings. This evolutionary hypothesis predicts that pieces of RNA rings with more ancient cognate amino acid should be more frequent in modern genes than those from RNA rings with late cognate amino acids. Analyses of genes for tRNA synthetases, among the most ancient proteins, from archaeal, bacterial, eukaryote and viral superkingdoms overall confirm these predictions, least for tRNA synthetases with early cognate amino acids and for the neogene-enriched genome of the giant virus Tupanvirus. Hence early tRNA synthetase genes and late RNA rings evolved separately. 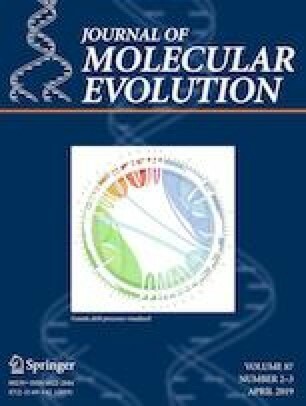 Results indicate that RNA rings and tRNA synthetases with the same cognate amino acid are less separated for relatively recent cognate amino acids, suggesting that over evolutionary time the components of the molecular apparatus became more integrated, perhaps in cell-like membrane-bound systems. Results confirm that theoretical considerations in the design of minimal RNA rings recreated RNAs close to the actual primordial RNA population that produce genes by accretion, and confirm the hypothesis of homology of minimal RNA rings with tRNAs and their proto-tRNA status. We thank two anonymous reviewers for highly valuable constructive comments.